One of the things one discovers at a meeting like the Genitourinary Cancers Symposium in San Francisco last week is that there is a vast amount of information to assimilate — and that much of it is not exactly or immediately “game changing”. If you have never been to a this meeting like this before, it can be overwhelming. Even when you have been several times before (which your sitemaster has), it can still be difficult to sift out the real wheat from the chaff. 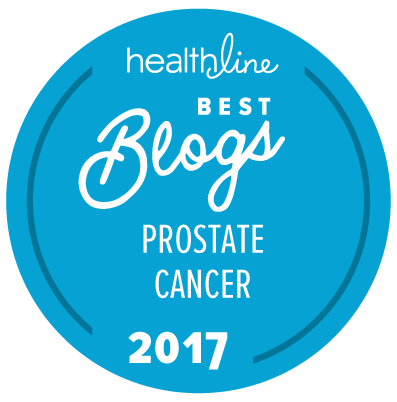 Something like one in every two men known to be carriers of the BRCA2 mutation are at risk for diagnosis with prostate cancer (although not necessarily clinically significant prostate cancer). The data supporting this finding were presented by Dr. Ros Eeles in a plenary session at the meeting last Thursday (“Genetic predisposition to prostate cancer and implications for screening and treatment”), based on data from the ongoing international IMPACT study. While risk from being a carrier of the BRCA1 gene mutation does elevate risk for prostate cancer, this is not as high as the risk associated with the BRCA2 gene. The IMPACT study investigators intend to seek formal approval of prostate cancer risk evaluation for carriers of the BRCA2 gene mutation in European prostate cancer diagnosis and management guidelines this year. This, of course, raises the question of whether there are also formal guidelines for testing men for risk as carriers of the BRCA1/2 mutations in specific countries. The issue of focal therapy and when it should be used is still a matter of considerable controversy. Despite an increasing amount of careful research at a small number of centers, the value of focal therapy and the appropriate selection of patients for this type of treatment has yet to be well characterized for many in the prostate cancer treating community. What The “New” Prostate Cancer InfoLink is clear about, however, is that focal therapy is not simply “a substitute” for active surveillance. It is going to be very important to distinguish between the appropriate roles of active surveillance and focal therapy as we move forward. The 9-year follow-up data from Katz and Kang on the use of stereotactic body radiation therapy (SBRT) in the first-line treatment of prostate cancer are raising serious questions about whether this and similar types of hypofractionated radiation therapy may be among the very best types of first-line radiation treatment for at least low- and intermediate-risk forms of prostate cancer (when treatment is actually needed). This may be a hard pill for many in the radiation oncology community to swallow, given the huge investments into proton beam therapy and IG/IMRT over the past 15 years or so, but there is little doubt that hypofractionated radiotherapy is lower in cost and more convenient for patients than traditional 7- or 8-week-long treatment sessions. There is still no consensus about the precise role (if any) for intermittent androgen deprivation therapy (IADT) as opposed to continuous ADT, largely because of flaws in the design of the various trials designed to investigate the relative merits of these very different forms of ADT. The major SWOG trial (SWOG 9346) showed no meaningful benefit in either quality of life or survival for men treated by IADT compared to continuous ADT, but there are strong (albeit disputable) arguments to suggest that that trial — which was designed > 20 years ago — may have enrolled less than fully appropriate patients into the IADT arm of the study that may have prejudiced the study’s outcomes. In two sessions on Thursday, Dr. Maha Hussain and Dr. Matthew Smith — the latter an acknowledged expert on the management of bone complications in advanced forms of prostate cancer — both stated very clearly that they now saw no place for immediate initiation of treatment with drugs like zoledronic acid (Zometa) and denosumab (Xgeva) for men with non-metastatic or metastatic hormone-naive prostate cancer who were starting on ADT. As men are living longer on treatment with advanced prostate cancer, Smith indicated that the risks associated with long-term treatment on zoledronic acid had started to become noticeable, and that (at least in his opinion), unless the patient was also showing clear signs of osteoporesis, the justifications for early initiation of therapy designed to prevent loss of bone mass were questionable, since the benefits of such treatment were clearly most evident in men with later stage disease. These comments by Hussain and Smith about use of bone-stabilizing therapy typify of great deal of the information presented at the symposium this year … it is strongly (and sometimes very strongly) suggestive but not necessarily definitive. There were no important new data from Phase III trials that were clearly going to lead to the approval of new drugs for the prevention or treatment of prostate cancer. There were also no data that will lead to expanded indications for drugs that are already on the market. There was a lot of new data about the roles of radiation therapy (with or without ADT) in the treatment of prostate cancer. (Alan Edel is working his way through all of this information for readers.) There was also a lot of data about the use of new imaging techniques, but in neither case did your sitemaster get the impression that these would lead to prompt and significant changes — let alone greater consensus — in the ways that people were using such techniques. Rather, there is a slow and steady evolution going on. Even the SBRT data mentioned above seemed to have little impact a lot of the attendees — perhaps because many of them have little or no experience with SBRT as yet. Another theme of the meeting was that it was time to move away from “one size fits all” forms of treatment for prostate cancer. As our knowledge of the genetic and genomic factors that differentiate between subtypes of prostate cancer grows, it becomes important for clinicians to appreciate more detail about the subtype of prostate cancer expressed by a particular patient and treat it accordingly. However, what that means on a practical level for those in the average clinical urology or clinical oncology practice (away from the major academic medical centers) is hard to appreciate as yet. Community practitioners may not have access to the multiple new markers that are becoming available, and/or they may not be able to secure reimbursement for the ones that are available. On top of that, there is little consensus yet on how best to use all of these new markers. The need to know who (and when) to test for risk of prostate cancer (based on such issues as age, genetics, family history, race, and other factors) while minimizing the over-use of unnecessary biopsies and other invasive tests whenever reasonably possible. The importance of being able to differentiate with greater specificity between three general categories of patient: those with aggressive disease that clearly need immediate treatment; those with indolent and clinically insignificant disease who should be seeking to avoid treatment for as long as possible (while being carefully and appropriately monitored); and those with less-favorable forms of intermediate-risk disease whose management will probably remain a matter for significant individual choice for some time to come. The importance of continuing to minimize the side effects and complications of treatment to the greatest extent possible, and to improve quality of life and survivorship experiences for patients post-treatment. The continuing need for new forms of treatment for men with highly aggressive forms of clinically significant prostate cancer whose disease progresses to metastatic and castration-resistant status despite all the current forms of treatment available. Nice job Mike. Disheartening there isn’t more to report. Let’s hope 2016 is more fruitful on diagnostic and treatment fronts. Great summary! One question: When Drs. Hussain and Smith made their comments, did they know about the STAMPEDE results showing a benefit to ADT + Zometa + Celebrex in hormone-naive advanced prostate cancer? Is there a way to access some content regarding the information on Zometa and denosumab? I’ve tried, but have not found free access to those abstracts or presentations, except for one related to imaging bone density for osteonecrosis. I am wondering if the presenters are recommending milder medications than Zometa and denosumab for ADT patients, medications such as alendronate, and transdermal estradiol patches, for instance. Matt Smith certainly did, and I have no reason to believe that Maha Hussain wouldn’t. I don’t think anyone has a good explanation for those results yet. No … There were no abstracts of those presentations. You might find some info on the UroToday web site. As far as I can remember, the only thing that came up was the use of calcium and vitamin D.
Could you please clarify if the demonstrated advantages of SBRT were limited to “lower cost and convenience (hypofractionation)” or if improved efficacy is also included in the SBRT advantages? And are these advantages extended to high-risk patients, or only limited to low- and intermediate-risk patients? Thanks. See this post from January 6 giving the details of the 9-year follow-up data from the paper presented by Katz and Kang at the GU Oncology meeting.